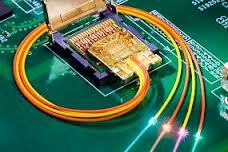 Optical fiber is the backbone of the worlds communications and data transportation network. These cables span distances to link cities and countries around the world, as well as homes and businesses to their local service providers. Within the data centers, fiber optic cables connect data servers, storage units and switched together. Fiber optic cables, using light (e.g., photons) to transmit data, have a much higher data capacity than copper wire which uses electrons to carry data. One drawback to fiber over wire as a connection media is that glass fibers can break if bent too far. Before breakage occurs, fiber optic cables also experience data through-put degradations due to both macro-bending and micro-bending of the cable. Cable bending allows some of the light to leak out of the cable, meaning some of the original signal is lost. Corning’s ClearCurve fiber optic cables are available as either singlemode or multimode fiber. This technology delivers the best macrobending performance in the industry; It is up to 10x better than standard fiber. As a result, these fibers enable superior bandwidth performance for data centers and other enterprise networks. A true breakthrough in innovation, ClearCurve fiber makes it possible to bend cables to significantly tighter bend radii without fear of impacting the performance of your optical fiber system. Corning ClearCurve fiber maximizes system reliability, minimizes downtime, saves overall space and provides opportunities for cost savings. An early adopter of the ClearCurve fiber, Intel’s Rack Scale Architecture (RSA) uses Corning fiber optic cables as part of the “Intel Silicon Photonics Technology”. This allows Intel designed data centers to achieve data transfer speeds up to 1.6 terabits-per-second across distances of up to 300 meters.